A section 179 deduction may sound unimportant to most people, but to small business owners it can be extremely helpful. They can write off the entire amount of a qualified equipment purchase immediately and reduce their current tax bill. So, they can use that money that would have went to the IRS on the much needed equipment purchases. Yes, they eventually have to pay the taxes that are due, but the idea is that by delaying the taxes they can get the benefit of the purchased equipment now and by the time the tax is due the equipment is making them a lot of money. The goal of Congress was to get small business owners to spend the money now instead of later. Imagine you own a growing florist business and you need a second delivery truck. You decide to finance the purchase of a truck for $50,000. In 2014, you get a deduct the entire amount of the purchase from your taxes instead of spreading the cost out over several years. You would have seen the $17,500 savings eventually, but wouldn’t it be better to get that savings now, get the truck into service and increase the size of your business? If you made equipment purchases in 2014, please check with your accountant to see if the purchase qualifies and to maximize your 179 deduction. Congress has recently reduced the section 179 deduction from $500,000 all the way down to $25,000. They did something similar in 2014 only to reverse it in December. This has a negative impact on a small business owners ability to plan their purchases. If you can’t count on getting a sizable piece of your investment back at the end of the year, you will have to think more carefully about whether you can afford the purchase. If your balance sheet can’t support making a large investment without putting your finances at risk, you may need to consider a working capital loan from a lender like Kabbage to bolster your bank account. These days there are many different lenders offering small business funding other than just the big banks. 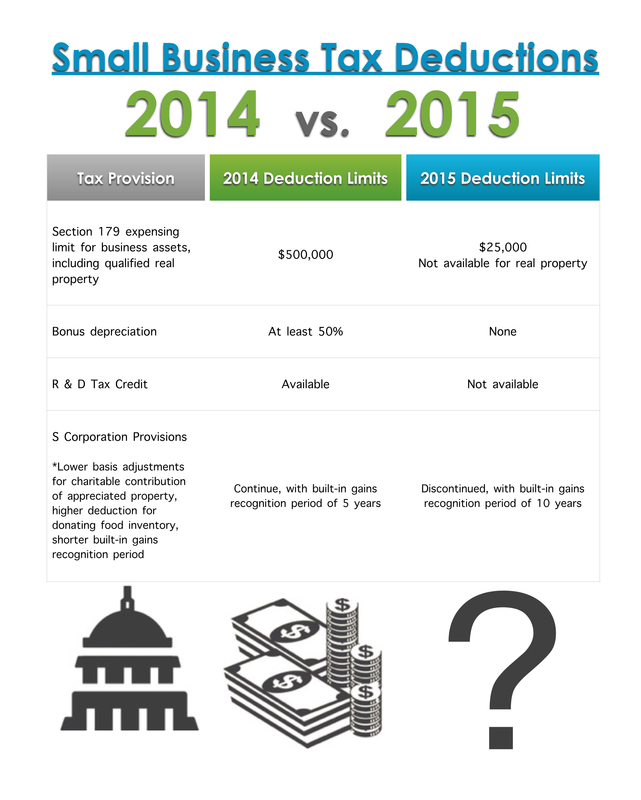 View this attached infographic to see the impact of the Sec 179 deduction to small businesses. « Can You Do Your Own Bookkeeping?